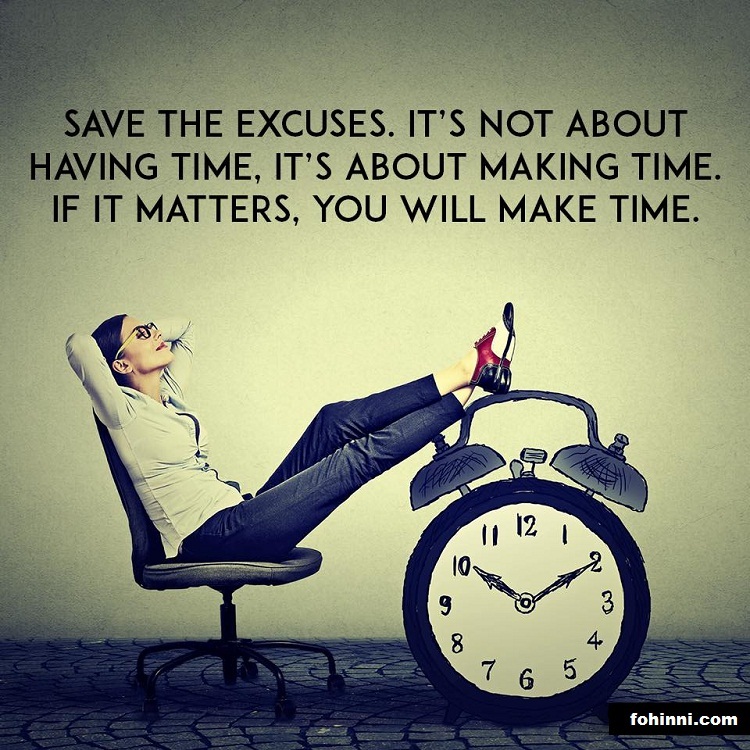 SAVE THE EXCUSES. IT'S NOT ABOUT HAVING TIME, IT'S ABOUT MAKING TIME. IF IT MATTERS, YOU WILL MAKE TIME.